In addition to providing the most up-to-date course material in a professional presentation, our instructors’ experience and dedication set them apart. They are good at what they do, not only because of their incredible knowledge base, but because they enjoy it. Our instructors are dynamic and enthusiastic, creating an enjoyable learning environment and are professional pilots with thousands of hours experience both in the air and groundschool training. Rick has been a professional pilot for over 35 years. His experience includes instruction at all levels with over 30 years’ experience conducting ATPL/IATRA and IFR courses. He currently is Captain on wide-body aircraft with Canada’s largest airline. He has also held several positions over the years including Ground School Instructor, Line Captain and Chief Pilot. He has thousands of hours of flight experience on jet and large turbo-prop aircraft. Rick is one of the founders of AeroCourse and the president of the company. 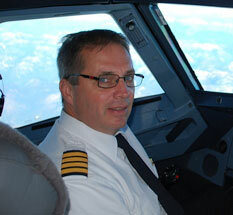 Mark is currently flying for Canada’s largest airline holding the position of B767 Check Pilot. He has extensive experience flying and is currently a pilot development instructor and has held the position of training captain. He has a varied background from regional carriers to corporate flying. He loves to teach and frequently students comment on his enjoyable style and presentation. Mark has been teaching with AeroCourse for over 20 years. Rob has over 25 years of aviation experience including developing and teaching both in the classroom and in the air. Rob has worked with a highly regarded flight school, a regional airline and presently employed at Canada’s largest airline. He is type rated on DHC8-100/300, ATR42, F28, A320 and various other types, and currently on the B777. He has held training captain positions and has instructed IFR and ATPL ground schools with AeroCourse for many years. Rob is a frequent contributor to AeroCourse’s pilot training materials. 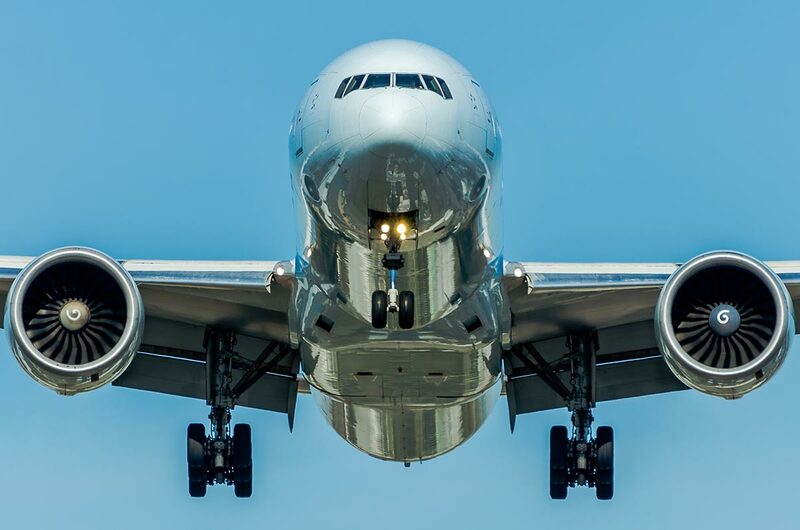 Rob gets immense satisfaction in being able to help old and new pilots alike attain their aviation goals whether it be to pass a Transport Canada exam or just to increase their knowledge level. Neil currently is captain on the Q400 aircraft for Canada’s largest regional airline and has over 25 years’ experience in the aviation industry. He has been training pilots as part of a corporate CRM team for over six years and has been instructing with AeroCourse, for many years. Neil brings a wealth of knowledge and experience to the AeroCourse seminars he instructs. Jessica has extensive experience in aviation domestically and internationally. She currently flies the 737 for one of Canada’s leading charter airlines. Jessica not only has extensive experience but she has a large knowledge base, contributing to the writing of AeroCourse aviation manuals. Her passion for aviation is evident in her seminars. Francis is an aeronautical engineer with extensive flight training experience. Francis currently flies the 737 with one of Canada’s largest charter airlines. He has taught for many years and enjoys sharing his knowledge with his students. Francis also has been a key resource member of the AeroCourse team and has been actively teaching for several years. Max is currently flying the B787 for Canada’s largest airline. He has several thousand hours in transport category aircraft such as the Dash 8, Dornier 328, Q400 turboprops and Embraer 190 as well as a background in instruction. Max greatly enjoys flying as a career and translates that over to his classes by sharing his knowledge, experiences and keeping students interested and engaged. Sean Brown has been a pilot for over 20 years. He is currently a Captain on the A320 with Canada’s largest airline. Sean has been involved in training pilots for many years as both a human factors instructor and as an advanced aviation ground school instructor. He has extensive flight experience and has been part of the AeroCourse team for many years. Students benefit from his thorough knowledge of the material and enjoy his fun, energetic presentation style. Rob has been training pilots for over 15 years. He is a class one instructor and a flight test examiner. Rob has been a CFI for one of the country’s foremost flight training schools and he is currently a college professor training students in an aviation degree program. Rob graduated from Humber College with a diploma in Aviation Management. Rob’s guiding philosophy is that he is a lifelong student, so more recently, he completed his Master’s degree in Aviation Management via the University of Newcastle. He has considerable experience both flying and training making his classes extremely beneficial. Tom is a retired airline captain with over 40 years experience and is currently is working as a consultant for Airbus Industries. He has flown for many airlines around the globe and has been part of the AeroCourse resource team for many years. Tom enjoys sharing his vast aviation knowledge and experience with his students. Tim is a seasoned pilot with many hours on several different aircraft. 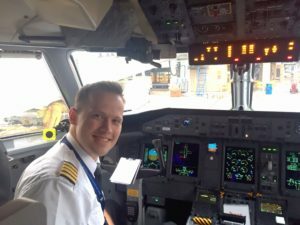 He currently flies for Canada’s largest airline as a captain on the A320. Tim is an exceptional trainer with a huge amount of experience to share with his students. Tim’s experience and practical knowledge is a benefit to his students.